You probably have everything in your pantry to make this cake today. It’s the cake that debuts at every family birthday and celebration in our house. The scent of this cake — especially the chocolate glaze — will drift through your entire house. Have I sold you? The secret of this cake is olive oil, balsamic vinegar, no eggs, and coffee! For a quick update on all things Aussie — autumn is here. It’s glorious. Tibouchinas are blooming purple (also in my novel!) and the air smells like Orange Jessamine /Murraya blossom. Time to rest a little today…agree? Time to appreciate our beautiful autumn and bake for the people you love. ABC radio chose Love Lie Repeat as the April young adult book club pick for Queensland and Victoria! My interview goes live tonight. I’ll share next week. Juicy book talk! Want me to drop by your book club (in real life or video overseas)? Let me know. Book deals, writing YOUR book, we can talk about all of it! All you need to do is pick Love Lie Repeat. Available at all bookshops in Australia and online overseas here. Hello, everyone — and a huge welcome to all the new people! 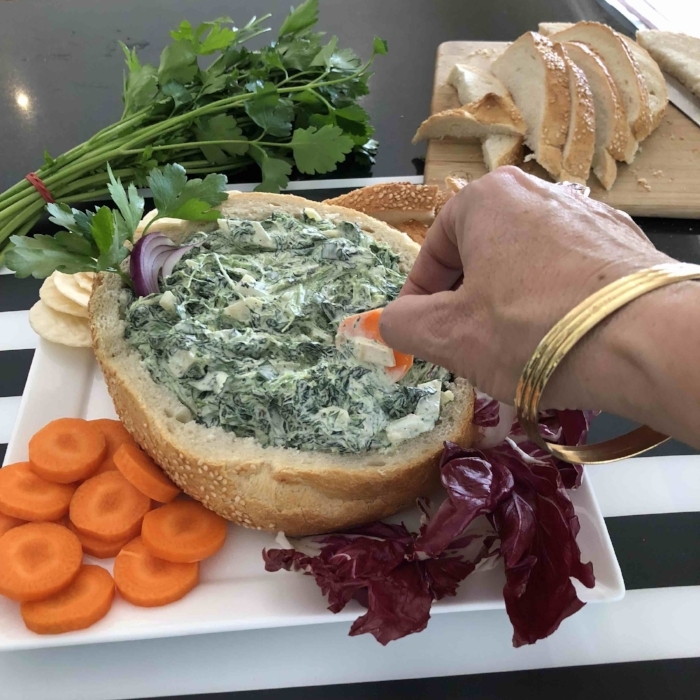 I’m sharing two things with you today: a recipe and a conversation! First up, I was a guest on The Bubble Hour, a fantastic podcast all about recovery and sharing our stories. The Bubble Hour is hosted by my Canadian cousin, Jean Greer McCarthy. You’ve met Jean here before when I wrote about her blog, Unpickled. We talk about writing your own story, recovery, perfectionism and life. Jean is a wonderful person, wise and kind. Thanks, Jean, for helping so many people with their recovery journeys. Enjoy your weekend, and hug the ones you love. Love Lie Repeat, my new novel, is perfect as a conversation starter for mothers and daughters. Authors love readers! You can buy a copy at your local shop or here with free worldwide delivery. Readers help writers create more books. Thank you. Recipes! I told you I’d deliver all April long and here’s the first one. It’s the Love Lie Repeat fruitcake from my book launch made by Jules Van Mil. You can get the recipe here. Jules did a beautiful job decorating it, didn’t she? The cake is divine! What’s better than family and holidays and cookies? 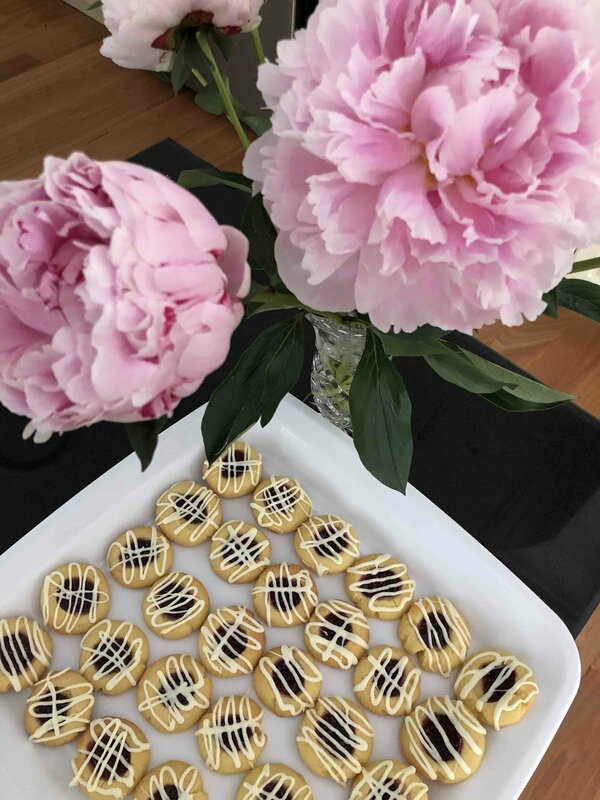 You’ll definitely want to make these Raspberry Almond Cookies with White Chocolate Drizzle. Last year I made them for my publisher and carried them on the train. On that commute, strangers gazed at my cookies longingly. 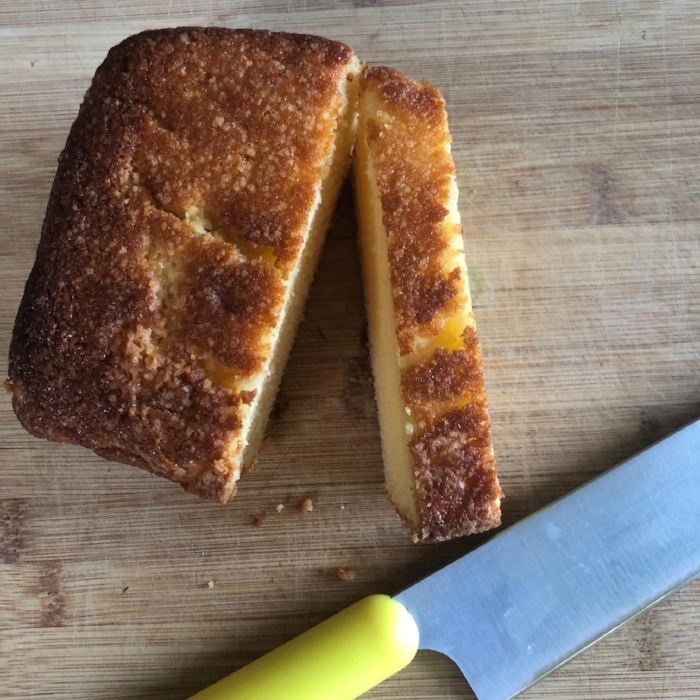 I made a blog-friend, shared the recipe with everyone, and became the most celebrated author in the city — ha ha! And it’s quick and easy! 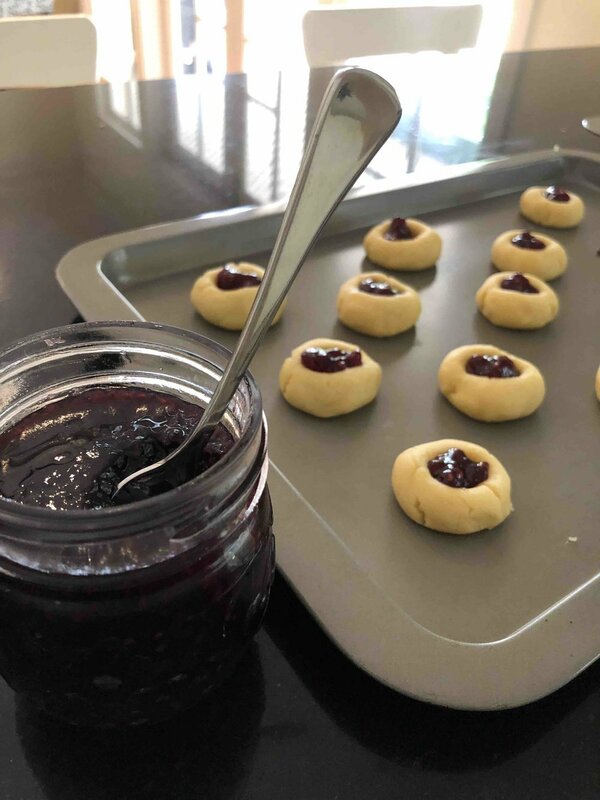 Whip up the dough in your mixer, thumbprint the cookies and fill with raspberry jam. Bake for 10-12 minutes, cool and drizzle with white chocolate. The secret is to fill a ziplock bag with melted chocolate and snip off the end. It’ll give you more control as you decorate. 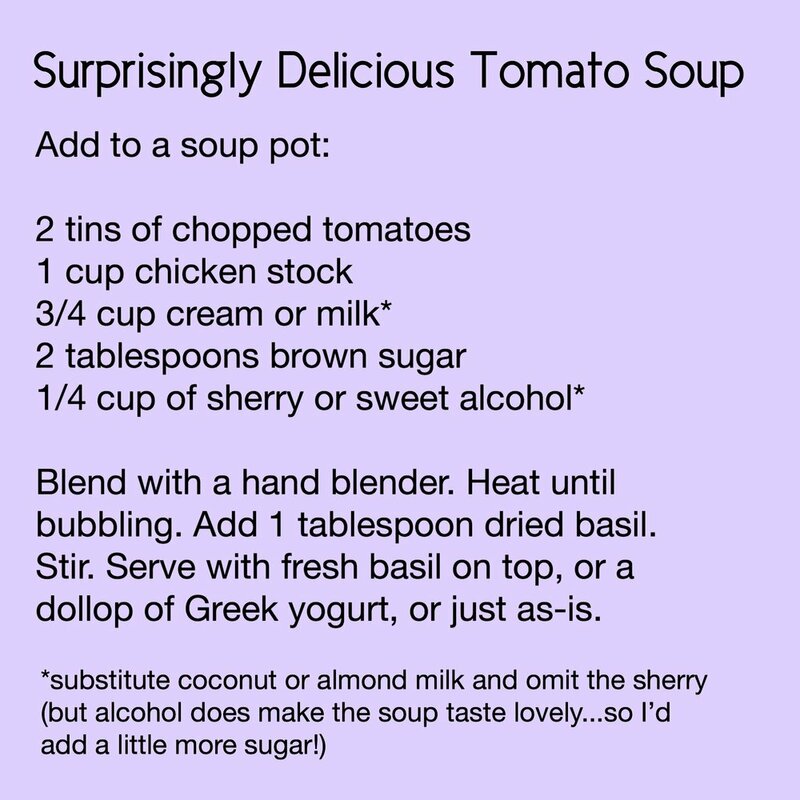 The recipe is here, from last year! Enjoy — these cookies are perfect for Christmas and as giveaways that everyone loves. It will take you less than an hour to whip up a batch. In Sydney it’s Jacaranda Snow-ing — purple snow everywhere! 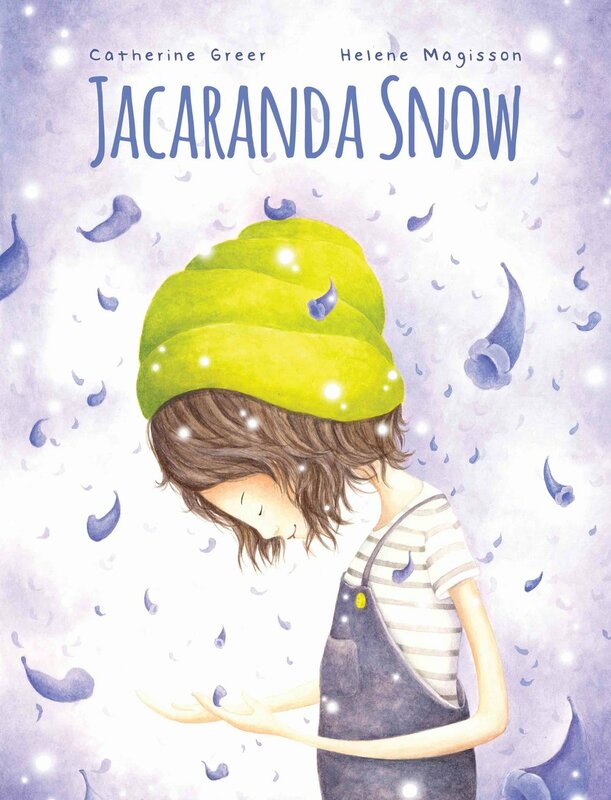 I finished my book launches for JACARANDA SNOW this week. Thank you for supporting this beautiful project. (Books available here and in good bookshops in Australia). 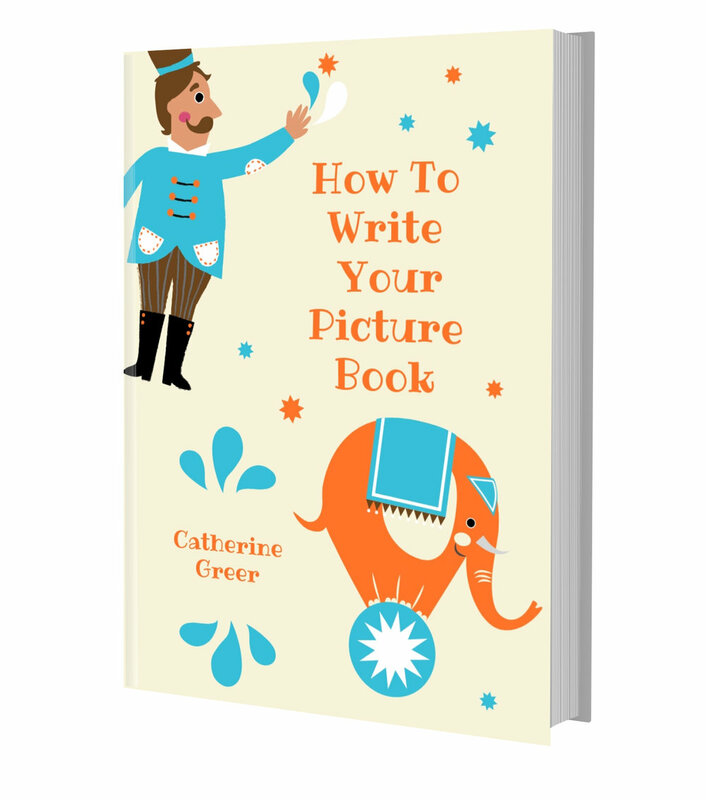 And for anyone who’s ever asked me about writing a picture book, I pulled together all the information you’ll need in this quick, comprehensive How To e-book, available now! You can find it here. It’s a clear, quick, no-nonsense guide. 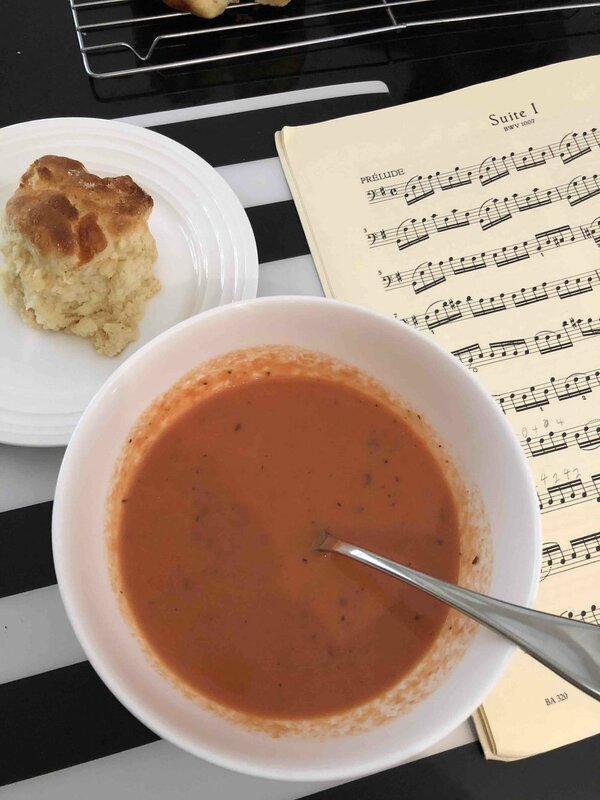 Book Signing & Delicious Tomato Soup! Lots of this has been going on! 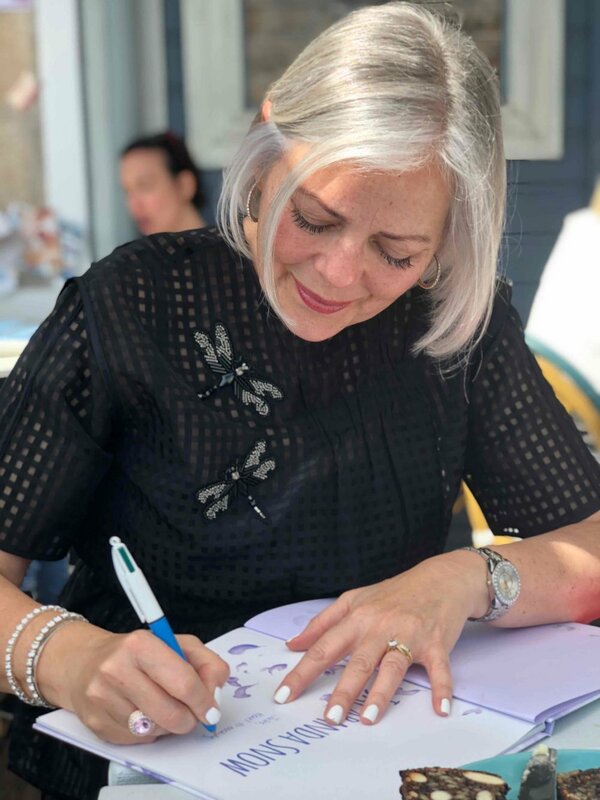 I’ve been signing copies of JACARANDA SNOW all week. It’s available in select bookshops in Australia and online here. If you’ve pre-ordered, thank you so much; on Tuesday I’m posting books to you with love from Sydney. Here I was at Beachside Bookshop in Avalon…you guys, what a privilege to sign books! I was grinning. Then I made some scones with cheddar. But will someone PLEASE send me a better recipe? These scones were like Canadian hockey pucks, except white. And brown. The soup was amazing!! I thought the scone situation was going well. They look so promising, right??? But I need your help. The scones were okay, but kind of heavy and dumpy and meh, so what’s the secret? The soup, however, is worth it. Sending love (& hoping for scone recipes in return!) Please comment here or email them through. 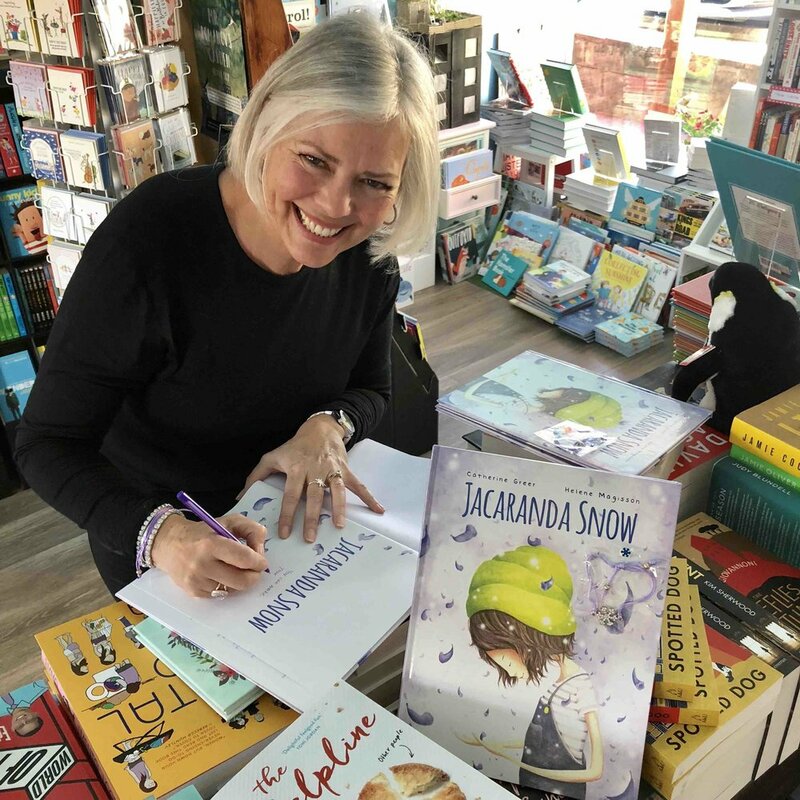 My little book signing workshop…thank you for supporting JACARANDA SNOW! Like my dragonfly top? There’s a beautiful story behind it. Try my sister’s Lemon Chicken Soup … so delicious! Remember this one? So good you want to eat it with a spoon? There was nothing moderate about the 80s. 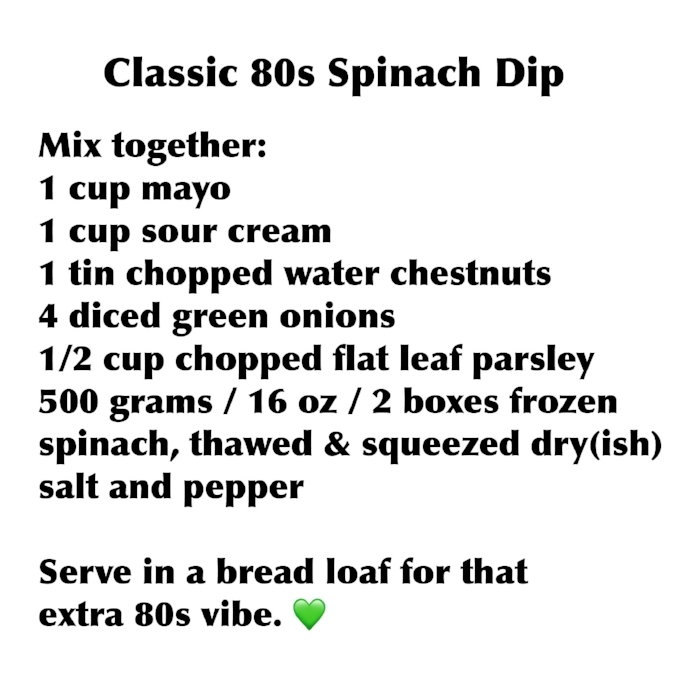 Not the sour cream in the spinach dip. Yesterday I made this classic for my year 12 son, who is very very tired of studying for HSC Trials (overseas translation for my favourite Canadians and Americans: Year 12 'Trial' final exams...the real ones happen in October & November, but Trials also count!). Today, let nostalgia be your ally! Your favourite classic perfume, music, food -- that song you love from the 40s, 50s, 60s, 70s, 80s, or 90s -- it can be a fast, easy way to find your Happy. Enjoy your weekend, everyone! Have some fun...and be fun to live with. Hi, new people! Thanks for joining us. Some happiness ideas for you: Try Adding, Not Subtracting, Why you should praise yourself a little and Do you know the one thing everyone wants? This week I've loved hearing about my students' new book projects in my online course, HOW TO WRITE YOUR BOOK THIS YEAR!! Love these fabulous new writers. Australian florists are making Art. I was so touched to receive these beautiful flowers from a friend. (Thank you, sweet Emma!) From Flourish Flower Merchants in Sydney. My friends, I'm spilling all my best secrets on my blog. Like this one: the most amazing homemade Fleur de Sel Caramels. Honestly, if you learn how to make them and share with friends, you'll get regular requests. I hear this a LOT: "Will you make me your salted caramels as my birthday present?" It's the perfect balance of sweet, salty, creamy. One pan of these caramels and you'll be hooked. 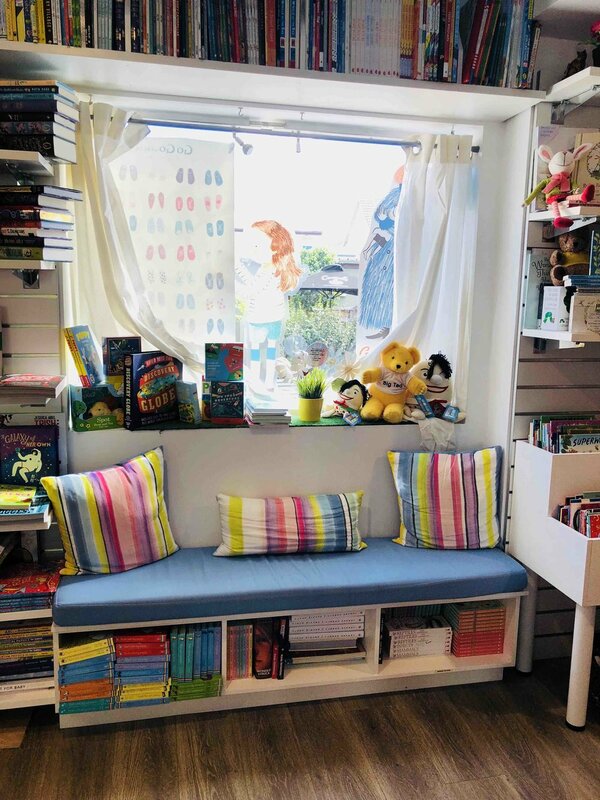 But first: something even sweeter...Libby Armstrong's beautiful bookshop in Avalon, Beachside Bookshop. My Aussie friends, have you been there? I dropped in recently to tell Libby about my new picture book, Jacaranda Snow. Libby has curated the greatest selection of novels for adults, children's books, beautiful new releases, young adult novels and more. The shop smells like hyacinths and looks so good. In winter, it's warm and toasty inside. In the summer, it's close enough to Avalon and Newport to drop in and grab a good book for the beach. Fleur de Sel is a little hard to find, so you'll need all this below, plus butter, cream and white sugar. And yes, you do need the candy thermometer. You won't get the right consistency without it. Have a sweet weekend, my friends. If a friend sent you this email, you can sign up for your own weekly dose of happiness here, on my author's website! All welcome! And just for fun...potentially my favourite photo of my mum, the original Catherine Greer (I'm Catherine Greer Version 2.0). She rode a camel in Australia at age 85. I plan to be just as awesome. Happy Mother's Day, Mum. Welcome to everyone new this week! I seriously love that you're here! Every weekend I try to give you something you can use. Happiness hacks. Things to try. Hugs and love from Sydney. Lately, a lot of people have asked me, "What's the name of your blog, Catherine?" And I tell them I'm an author (traditionally published, not self-published) and my blog is part of my author's website. I say I blog to give something back to the world... instead of engaging in endless self-promotion. So that's me, in a nutshell. Every weekend you'll get something useful. And yes, you'll hear about my books, and I promise never to bombard you. My Happiness Blog is for you. So this weekend, I'm giving you mussels. And muscles. 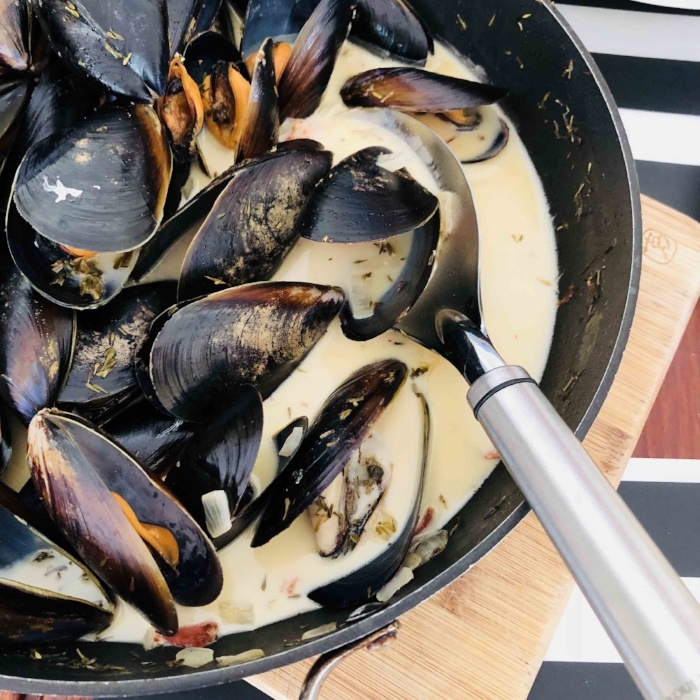 Mussels are not everyone's favourite, I know, but if you were like us... walking around drizzly Point Grey in Vancouver in winter (thank you so much, Glenn & Adele, for the beautiful guest rooms!) 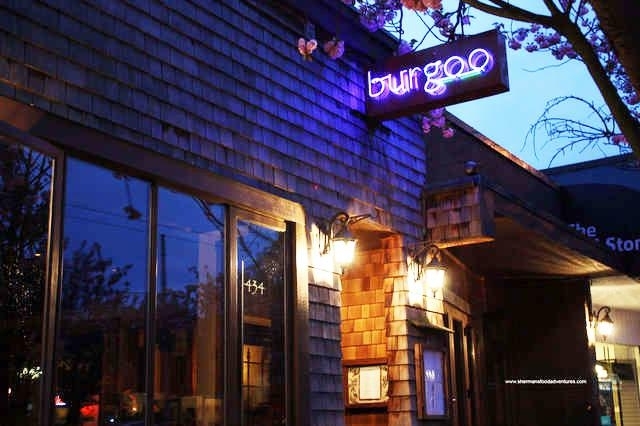 and you hurry into the coziest, cutest cafe called Burgoo, and you order a steaming bowl of their Mussels Cocotte, you might just think you're in heaven. Mussels are surprisingly easy to make, and go on high rotation as a starter at my dinner parties. A pan of mussels and a baguette produce that 'Dig in, let's start a fun conversation' vibe. 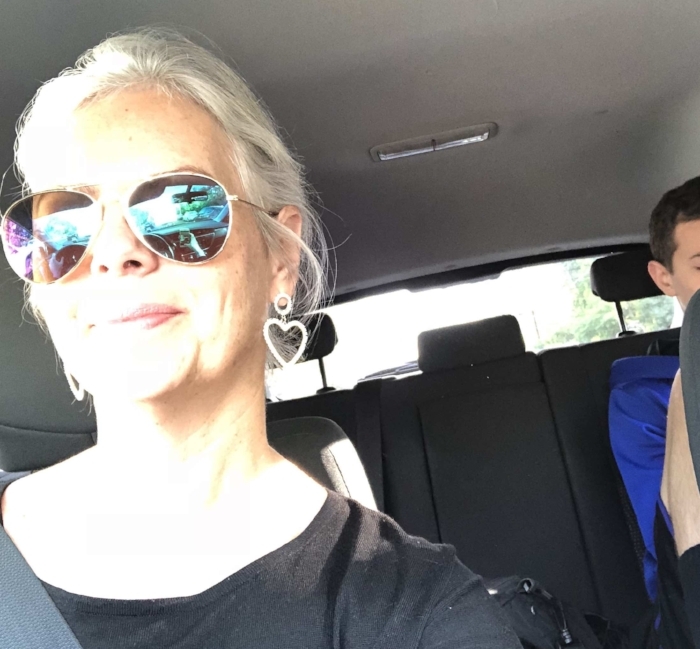 I am the person who takes photos of a teenage basketball player who doesn't want his photo taken while we sit in a traffic jam because... hey, hello, ordinary life! Ordinary is good. I want to remember it! Saute 6 strips of bacon (chopped) and one diced onion in a frying pan (you'll need a pan with a lid). Add 1/3 of a bottle white wine (or alcohol-free cooking wine). Increase heat to high and reduce liquid (4-5 minutes). Add 1 cup of cream and cook for 4 minutes. Stir in 1 cup of chopped Continental parsley and 1 tablespoon dijon mustard. Add 1 kg fresh mussels. (I buy mine in a bag from the fish market; they're already cleaned and de-bearded). Put the lid on the pan and steam for 8 minutes. Discard unopened mussels! Serve immediately to mussel-lovers who will also love you. Have a beautiful weekend, everyone. Be fun to live with! Before I head off into my Sunday, let me say this: I also believe in Muscles. I want to send a tiny bit of encouragement on the muscles front: whatever works for you to build your strength, even if it's only squats in the kitchen while the kettle boils, please do that! From what I've seen firsthand of growing older, being strong is everything. If you're new, some fun posts are here: You are not for everyone, what to do when you're tired, and being a guest on The Lively Show. If a girlfriend forwarded you this email, you can get your own every weekend by signing up here! Yay! Love to have you! A couple of weeks ago, I saw famous Aussie novelist, Tim Winton, with two friends, Joanna Nell whose exciting debut novel is out in October, and Jules Van Mil , writer, blogger, stylist, teacher. Tim said this about giving. I agree. I also think that -- for some of us -- taking requires the most courage. I guess it depends what you do most often: give or take. What do you think? I know food isn't love. But let me say this: some nights, when your teenage rower is so tired after training, when he still has hours of Latin to study for his Half-Yearly exam, when you tell him to go to bed for 30 minutes and you promise to wake him up to do homework, sometimes then, food becomes love. Tonight, love was Lemon Bread in the guise of a deliciously old-fashioned recipe from the 1960s. As I whipped the butter with the sugar, squeezed two lemons, folded in a cup of flour, I remembered this son at four, not seventeen. He used to love my Lemon Bread fresh from the oven after preschool. Now he's in Year Twelve. Soon he'll be gone, grown into a man. Every mother knows the old cliche: the days are long but the years are short. It's been around forever and it's true. You can mix one gorgeously light, fluffy lemon loaf in a few quick minutes, and when it's done baking, you can serve up love to tired hearts. You'll need two lemons (or lemon juice!) and butter and eggs, flour and sugar, baking powder and milk. You likely have all this right now. Preheat your oven to 180 degrees fan forced. (350 F in North America). Gently mix in 1 1/4 cup plain flour, 1 teaspoon baking powder, 1/2 cup milk and 1/4 cup lemon juice. Put batter in a loaf tin, greased or lined with baking paper. Bake for 45 mins (fan forced) to 1 hour. Check with a skewer...your oven may bake faster or slower. I don't post a lot about food, but my favourite cookies are here, best salad is here, ah-mazing traditional chocolate cake is here -- wait, I lied. Sometimes I write about food. I also write novels and picture books, and lots of posts about growing wise in your own skin. More here! A shout-out to two of my fabulous sisters today: Dar and Cookie (yep, it's a nickname!). Dar smuggled several jars of homemade raspberry jam into Australia. It's probably illegal but she is a superior jam-maker. Think luscious Canadian raspberries, very little sugar, packed to the brim in a mason jar. And Cookie (of course!) gave me this recipe. 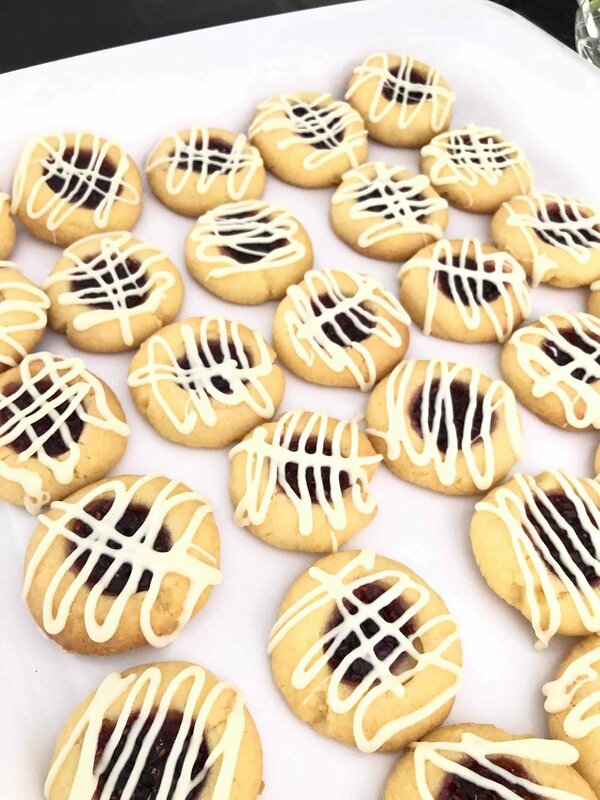 We use Almond Raspberry White Chocolate Shortbread Cookies for one of our favourite Christmas traditions. I made it up. And it's hilarious. On Christmas Eve, the four of us dress up in embarrassing matching outfits. The first year was Onesies. One year was Aussie flag boxer shorts, t-shirts and Christmas hats. And this year....well, this year is a surprise, in this package. The boys open the ninja gift on Christmas Eve, then out we go in matching outfits to "ninja deliver" cookies. The mission? Drop off cookies, ring the bell and run like...crazy. And never, ever get caught. You can see why kids love it. Right? Feel free to steal the idea, moms-with-little-kids. I think it's the best holiday tradition I've ever created. Cream butter and sugar. Mix in almond extract and flour. Roll into (1 inch / 2 cm) balls and place on cookie sheet. Make an indentation and fill with jam. Bake at 170 C fan-forced for 14 mins (Australia) or 350F for 12-16 mins (North America). Cool. Drizzle with melted white chocolate. Then package up and be Ninjas. But only if you want to! Sending you big hugs this Christmas. Sometimes during the holidays we need help, people. Every week I try to give you something to make your world a little better. 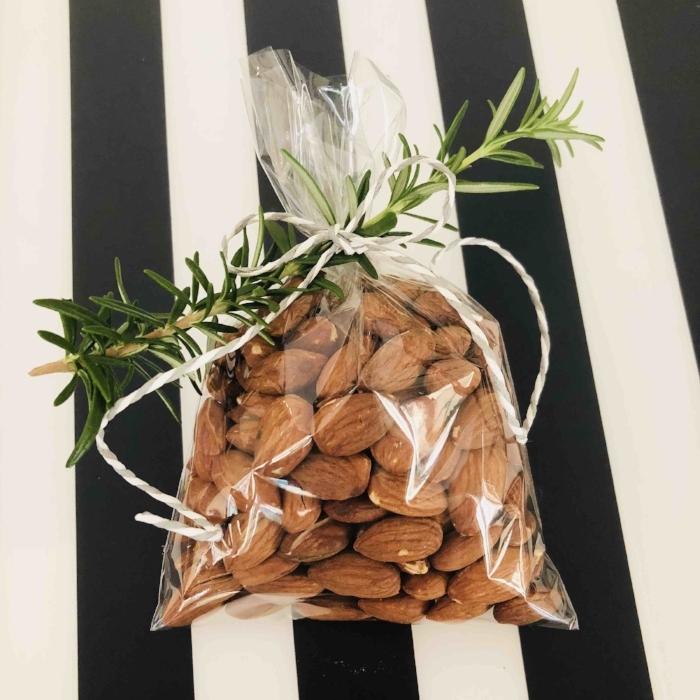 Today it's this: the Perfect Do Nothing 12 Minute Homemade Gift. Easy! Healthy! Lovingly made! Delicious! Preheat oven to 180 C fan-forced (Australia) or 350 F (Canada & America). Roast for 8 - 12 minutes. Sprinkle with Himalayan pink salt (or any salt). Cool. Serve at a party. Wrap up as a pretty gift. Perfect with bubbly and appetisers, or with fruit and coffee and dark chocolate as dessert. Amazing in every salad you make. These are ridiculously better than store-bought Roasted Almonds. Happy holidays. You're soooo welcome! The most amazing pipe organ in Sydney Town Hall! Cathedral bells at St Mary's are here. My favourite Christmas animation with GORGEOUS music (3 mins), watch "Walking on Air" from The Snowman here. Does he look a little menacing to you? 22 days, my friends. That's it. And let's face it, though we all love the holidays (I love Christmas! ), the mental load of joy-making usually falls on women. Sit down, lovely person. Sit down and take it all in. Do what you can -- and rest as often as possible. Inhale the beauty all around you this season. Look in the eyes of the people you love. Absorb what they're saying. Be present for your crazy-wonderful friends. For your family. Hold each sparkly moment in your fingers. Enjoy your first weekend in December. We are all so lucky to be here. Hello from Sydney, where we're cuddling up! Think fires, cozy pjs and winter flowers like these potted gerberas I found at Harris Farms last week. So pretty. Nearly a metre tall, two pots for $12. Incredible! And soup. Lots of soup! In winter, we often eat soup for dinner. It makes the house smell like love. Are you with me? Lemon Chicken Soup is favourite recipe from my sister in Saskatchewan (Canada). The secret? Fresh lemon juice. I love the flavour of freshly juiced lemons, so I use around half a cup. Heat and then simmer until soup has thickened. 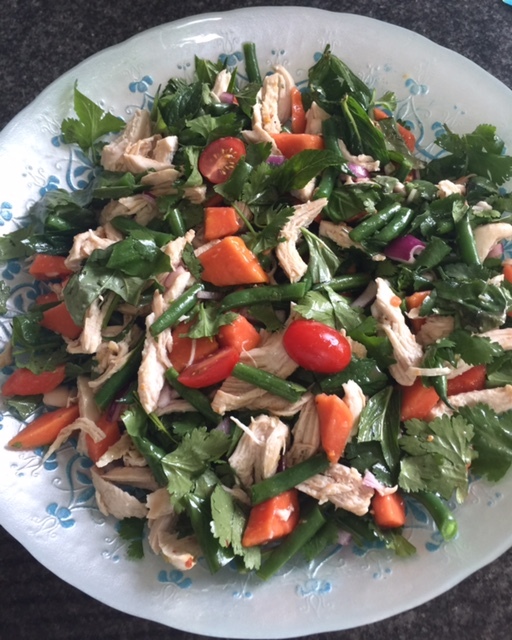 Half of you are wintering with me in Australia, and about half of you call Canada and America home...so if you're heading into summer, you might want to check out this incredible Thai-inspired salad instead. Have a good weekend, everyone. Be fun to live with! Wow, have you been tired this week?? I have, and it's because I've been stupid. I started comparing my beginnings to other people's middles. Nothing makes me so tired as comparing myself to others. So I stopped and baked cookies. That makes sense, right? It wasn't because I wanted to drown my sorrows in cookies. I baked them because -- full disclosure -- I bake the BEST cookies and, this week, I wanted to feel effortlessly good at something. So: cookies. My quick fix. Isn't that what we all do, really? We start with someone else's recipe. We stand on the shoulders of the giants who have gone before us and figured stuff out, then we innovate and add our own secret sauce. You're so right, Teddy. Even comparing beginnings with beginnings can be hard. Time to look down and in, not up and out. Time to muscle up, buttercup, and get on with making my own stuff, in the only way I know how. Happy weekend, everyone. If you bake these cookies today, you will get big hugs. I promise. I love to find things to celebrate. Love it. Ever since the boys were Littles, I've made small celebrations a tradition in our family. My beautiful friend, Dorothy (aka any excuse for a party), taught me this. If anyone has anything good happen, we celebrate. Look, it takes about fifteen minutes and it's fun. So why not? I thought everybody did this until I met a mum at a concert. We got talking about the HSC (Higher School Certificate in Australia, basically years 11 & 12). Okay, beautiful Canadian and American girls, this is what it's all about: teens in Australia WORK THEIR BUNS OFF for about 18 months straight, including over summer holidays, and I am not joking you. The last two years of high school are constant assignments, high pressure, state-wide exams, and the whole time, many teenagers are trying to get near-perfect scores to get into Uni. It's hard. So anyway, this lady at the concert tells me her son just graduated from the HSC. Me: Oh! What are you doing to celebrate? Her: (Looking at me like I'm a unicorn) Nothing. He might go out with his friends. I'm like, what the what?!? Nothing? I put everything on the coffee table in our living room and call in The Boys (two boys, one husband). Teenagers have been known to roll their eyes, but I ignore it. Then we celebrate -- because I want to. And as the locomotive of this Family train, I also matter. If you have young kids or grandkids, this would be an easy family tradition to start. If you have teenagers, I guarantee they'll give you the side-eye. But it's so worth it. When I yell out, "Family Celebration!!" we have a way to switch on and appreciate our lives. So we have a drink and share crazy stories. My husband tells truly AWFUL jokes and laughs the whole time he's telling them, which is actually kind of adorable. Celebrating when things are good is awesome. And celebrating anyway in the face of fear, upset, and worry makes me brave. It reminds me to appreciate my good, crazy, unpredictable, imperfect, work-in-progress life. As we say in Sydney: Cheers, big ears. I hope you have a fantastic weekend and make lots of traditions of your own. Everybody needs this recipe, really. You have all the ingredients in your pantry (except maybe the block of baking chocolate for the glaze). You can whip up this cake in one bowl. It tastes old-fashioned, fudgy and delicious. It's fast, as in 5 minutes to make and 35 to bake. Plus it has the benefit of being a conversation starter because it contains olive oil and balsamic vinegar. 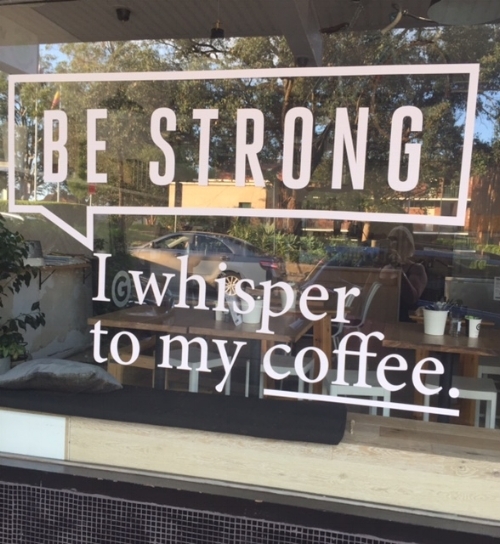 And coffee. Let's do it. Grease a 20 cm (8 inch) cake tin and dust with a little bit of cocoa. The size of the tin is important -- don't use a bigger tin or the cake will be too flat. It's a dense, fudgy cake. Sift the flour, sugar, cocoa, baking soda and salt into a bowl. Whisk. Make a well in the centre and add olive oil, balsamic vinegar, vanilla and coffee. Whisk until smooth. Bake for...well, in my oven it's 35 minutes at 160 C, fan forced. Test for doneness in your own oven. 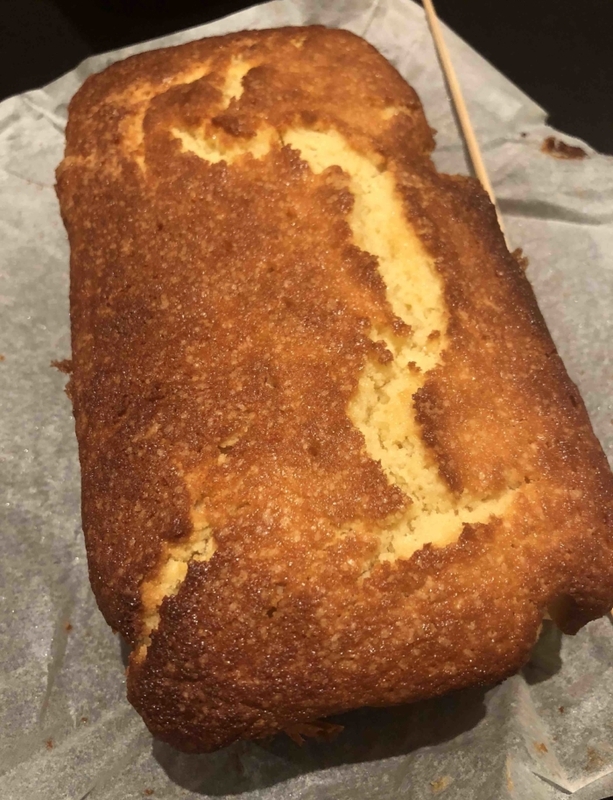 Important: let the glaze cool and harden slightly before you pour it over the cake. *You can go dairy & gluten free if you use coconut cream for the glaze and gluten free flour for the cake. Have a fun weekend, everybody. I hope lots of unexpected joy comes your way! Christmas. We need to feed people. It never seems to stop. I'm trying to get better at entertaining, which means I'm trying to sit down and enjoy people more and run around less. Enter my Lemon Ice Cream. If you need a fast, delicious dessert, it'll take you 2 minutes to make in the morning. 600 ml thickened cream (2 cups whipping cream for Canadians, a reduced amount because it's thinner). Zest the lemons (yes, you have to) and juice them. Mix zest, lemon juice, sugar and cream. 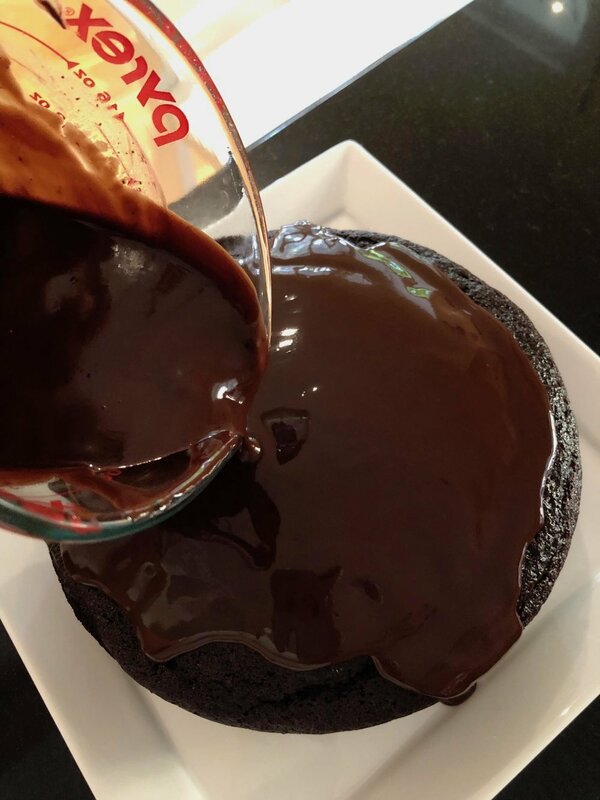 Pour into a metal cake tin and freeze for a few hours. ...sunshine in a bowl. It truly does! The bottom will melt a bit, so get it to the table fast. And when you're asked for the recipe (which you will be, I promise), please feel free to share...from my Aussie home to yours, wherever you may be. Sunshine in a bowl. We all need more of that. Sixteen years ago when Luke was born, my sister Rena came to Sydney. She taught me a lot about babies, and she also gave me her recipe for gingerbread houses. Every year without fail, I've made my sister's gingerbread. And every year I think of her as my kitchen fills with the scent of ginger and cinnamon. If all you've known are those gingerbread house kits from a box, my sister's recipe makes moist, fragrant, spicy gingerbread that begs you to make a fresh cup of coffee and enjoy. And it's easy. I promise. 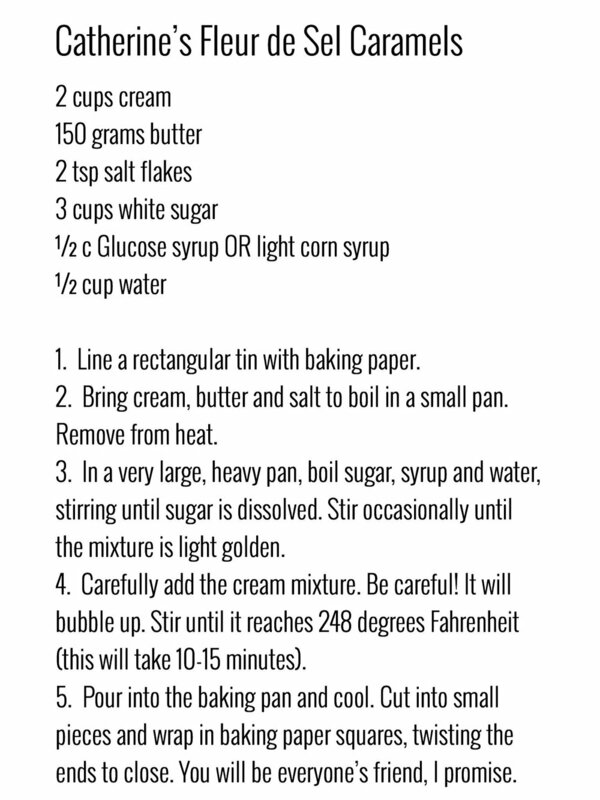 If you or a friend/daughter/sister want Rena's gingerbread recipe (plus house instructions), email me, leave a message in the Comments or Forward to a Friend (link is below - so they can request it from me if they want it). The recipe is ideal for making gingerbread people, too. I know Rena wouldn't mind sharing with you. We come from a long line of women who love to share with others...it's our best quality as a family. Your kitchen will smell like Christmas. And because I can't resist, here's a funny story for you: when Luke started school I thought it was a GREAT IDEA to make 25 little houses for his classmates for Christmas -- so tiny, how hard could it be?? Well, it was I'M STILL UP AT 3AM hard. Forever after, I've made big gingerbread houses for each class to share. Wishing you a happy start to the holiday season from 'snowy' Sydney...here's hoping you can make time for all the traditions you enjoy. This was my lunch on Friday. I know, I know...so bad! But I've had a lot on this week, and chocolate is my Boyfriend. Ha! Everything happens end of November. Christmas prep, finishing off projects before summer holidays, and if you live in Australia, end of school year. You know what this means: teacher gifts, concerts, gingerbread houses, finding yet another dress to wear. Plus I was decorating the school hall with a fabulous friend for the Year 6 Graduation Dinner (high school starts in Year 7 in Australia). On top of this craziness, I signed up for a Literary Speed Dating event. That's why I had a chocolate lunch. Someone opened a Max Brenner right across from the conference centre, so what was I supposed to do? You might be curious about Literary Speed Dating. It was my first time. You rush into a conference room and get in the publisher's queue. You have 3 minutes to pitch. A bell rings and you get a YES (send it to me) or a HMMMM...THANKS FOR COMING! LOVE YOUR DRESS! I was a little nervous, but it went well. If the ideal day is like hand washing your delicates and hanging them on the line to dry in the sunshine, my day felt like whites and darks dumped together in a washing machine, then shoved in the dryer in lumpy tangles. Life is not Pinterest Perfect. And this is a problem for me because I loooooooove being in control. Cue my Thanksgiving pumpkin pie. Here's the perfect picture I took for you a couple of weeks ago on Canadian Thanksgiving weekend. Delicious pureed pumpkin, steamed and mashed and mixed with spices. These photos remind me of the suit of armour we all sling on every morning. How are you? and I'm fine can cloak a myriad of worries. Meanwhile, time ticks on; small things go wrong or right. Big things catch us by surprise. I thought about surrender and control when I took Holly to the groomer this week. Shih Tzus don't shed, but their hair, like ours, just keeps growing. She's nervous in the car and trembled as I clipped her into her doggie seatbelt. Then I idled in the driveway for a while searching for a podcast, while she sat in the back shivering. Sometimes I feel exactly like a dog in the backseat of a car, with my little dog mind desperately whipping around in circles. That's why I love this Julian of Norwich passage from a book she wrote in the 1300s. I guess it's kind of a prayer or a mantra. She was a mystic, and is believed to be the first English woman to write a book in the English language. Imagine it...she knew that only men write books. And then she wrote one. The image, if you look closely, is a bone ceiling. It's a shot I took of Fiona Hall's sculpture 'Mrs. Macquarie's Folly' at The Royal Botanic Garden in Sydney. The ceiling represents animal bones. The spines represent Norfolk pines that colonists thought would make excellent timber masts for ships...but they were wrong. The knots in the wood caused natural structural weakness. The masts cracked. So much of colonisation didn't go exactly to plan, but here we are, still standing. To me, that bone ceiling is heartbreakingly beautiful. And there's a message in it. It's time to share my favourite salad recipe. (My other favourite salad is here.) I've promised to give this to so many friends! I'm pretty sure you'll love it. When I made it the first time, my teenager said, 'Is this a Janet recipe?' The truth is, my friend Janet is the source of all good food at my place (& a lot of wisdom). And yes, this one is hers. I've simplified it a little because -- well -- I'm lazy. The reason it's so delicious is this: sweet, sour, salty, bitter, pungent and astringent. If you mix all those flavours in one dish = tastebud heaven. You'll see. Poach the chicken in the coconut milk. Drain, shred and let cool. Add shredded chicken to the salad and pour over the dressing. Mix tenderly.